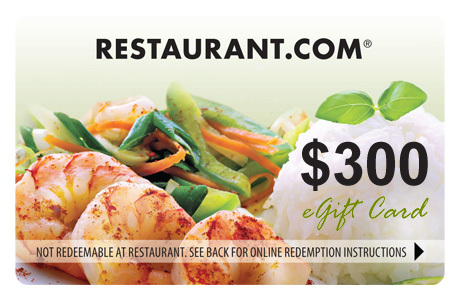 NOW ONLY $53 for a $300 Restaurant.com e-Gift Card! • Customers may select any number of restaurants and denominations over time, totaling $100. 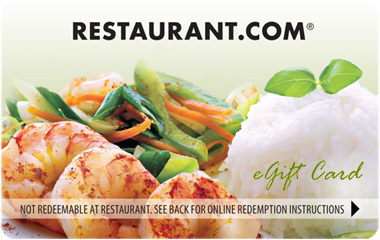 After receiving your e-Gift Card Code, visit http://dine.restaurant.com to redeem $100 worth of e-gift card to participating restaurants. Restaurants large and small partner with Restaurant.com, and you'll be able to satisfy cravings for any type of cuisine. Bon appétit!